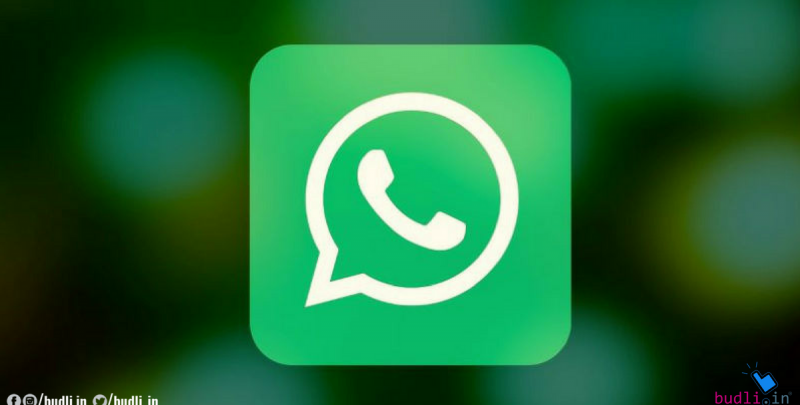 WhatsApp is reportedly beta testing a new feature that allows the group admins to be dismissed. 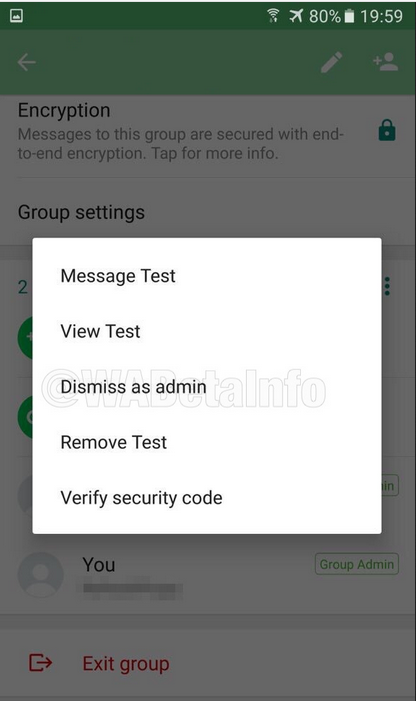 This new feature is currently available to the beta users of WhatsApp but can be expected soon to all the users across the globe. This new feature of admin dismiss allows multiple admin groups to filter the admins. That means, one admin can simply remove another admin from the position of the admin but that user will still be the part of the group and can participate just like all the others in the group. Previously, for a user to be removed as admin they were first made to exit the group and then add them back as a normal participant. But now with this feature rolling out all that hassle can be avoided. This update from WhatsApp will soon be available to both android and iOS users. Here is a screenshot of the app from its beta program which shows the Admin Dismiss option. WhatsApp is also working on providing additional features to the admins in the future updates. Some of the upcoming features include – The admin can restrict the users/participants from not sending any text, multimedia messages in the group. Once the user is restricted by from sending messages, the user can only view the messages in the group and cannot respond to them. Also, if the user wants to send a message then that message will be sent to the admin for approval and only once approved the message appears in the group. If you want to enjoy these amazing features of the WhatsApp Beta program you will have to join their Beta users program. Do you want to? Then it is very easy, let me tell you how. Just click on this link – WhatsApp Beta and just follow the instruction. But joining a Beta program has its pros and cons. The pros are that you get see and use the latest features of WhatsApp before the rest of the world gets to see it. The cons are that Beta programs are risky to use. They might cause harm to the device, so it is good to have another device that can be used to beta test all the apps. Well getting an additional device just for beta testing can be a costly affair. That is true too, but there a way around. You can get yourself a refurbished smartphone to do all your testing and experiments on a smartphone. If you are someone who does not know what a refurbished smartphone is – A refurbished smartphone is a device which was open-boxed before, used and then returned to a refurbisher who then checks the device for any issues of software and hardware and then sells the product again to the public. Now if you are wondering where can you get such amazing refurbished products – You are already here. Budli is one of the largest re-commerce platforms in India. We have a range of products from laptops, smartphones to tablets. Visit Budli.in and grab your next best smartphone now! !